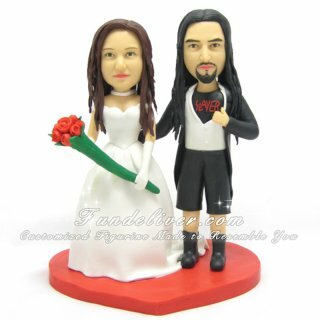 This is a completely customized slayer theme wedding cake topper ordered by one of our customers. They want the groom on the right and bride on the left. 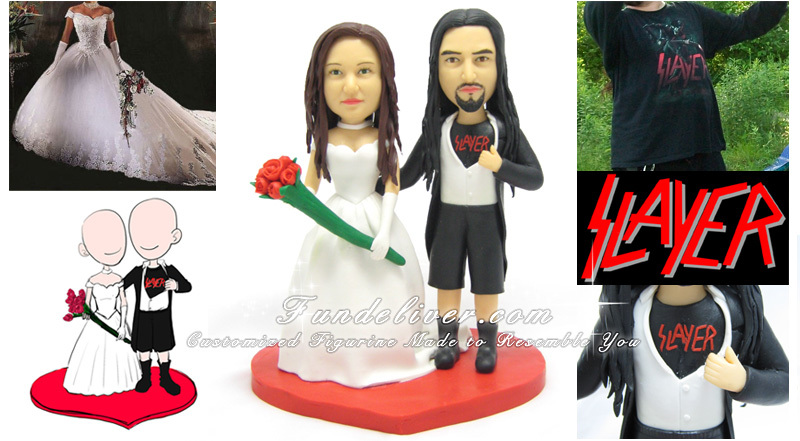 Bride wears a wedding dress similar to above image, and holds a long red wedding bouquet.